The purpose of a concealer is to hide blemishes and flaws in skin so that nobody even knows they’re there. A good concealer blends into natural skin tone, provides full coverage of a blemish, including color coverage and texture coverage, and then blends equally well into an evening foundation. So why are most concealers filled with known skin irritants that actually inflame and sometimes cause pimples? Something designed to hide a problem should not exacerbate that same problem. In the case of concealers though, this is what many of them do. They cover up blemishes on the one hand and cause more of them on the other. They’re definitely keeping themselves in business, but that sounds like a different kind of cover-up to me. Concealers are also the essential piece of a makeup kit that covers up undereye bags and darkness caused by swollen blood vessels and blood pooling. That is the last place that you would ever want to put a product that is also frequently made with chemicals that can easily pass through your skin and be transported throughout your body by your circulatory system. Undereye bags are a fast lane for pollutants to enter your blood stream, so don’t put chemicals there! But what can you do when you need that flawless complexion and your face is looking not-so-flawless?! You can pick up a natural concealer that is free from harmful chemicals and that won’t further infect your already hurting pores— a concealer that may actually help to heal them! CONS is an organic, natural concealer paste specifically made for acne-prone and blemished skin. It is loaded with beneficial ingredients, such as salicylic acid (the active component in aspirin) and thyme oil, that gentle yet effectively fight bacteria and restore pore size. The base of CONS is made of organic shea butter, jojoba seed oil, safflower seed oil, and candelilla wax for a healthy, nourishing formula that moisturizes and goes on smooth without clogging pores. The concealer paste isn’t just an acne medication though, it provides full coverage as well. Zinc and titanium dioxide make the cream opaque so that you can’t see through it and both are included in non-nanosized particles so they won’t pass through your skin and collect in your body. 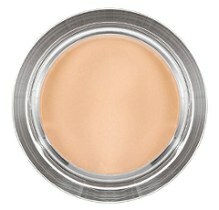 CONS comes in two colors, fair beige and medium beige, and can be applied in layers for a stronger coverage. Everything is certified organic and made in the USA. Ecco Bella’s Concealer Stick comes in an easy to use tube for simple and precise application. It is a favorite for use on undereye bags and dark patches because it provides great, even coverage, and is free from any harmful ingredients that could be absorbed through that sensitive skin. The lack of chemicals also means that it won’t irritate eyes when applied underneath them. It is gluten-free, fragrance-free, and paraben-free, and is made simply from a variety of natural ingredients. It is gentle on the most sensitive of skins and soothing on blemishes. Like all Ecco Bella products, it is cruelty-free. 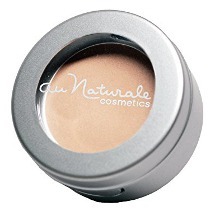 Au Naturale’s Organic Crème Conealer is a highly pigmented concealer that makes any blemish, from acne to darkspots, disappear. It also adds a slight reflective tint to help keep them hidden. This cream blends well with any foundation. Alternately, you can rub it in and wear it alone for reduced blemishes without that ‘makeup-y’ look. 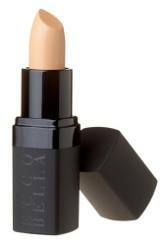 This concealer is very creamy and is best applied with your finger instead of a brush. It will stay put and last the whole day without any irritation or annoyance. This cream concealer is 100% organic, non-toxic, gluten-free, paraben-free, vegan, cruelty-free, non-nano, and made in the USA. The blend comes in eight shades. No matter why you need it, these concealers will do the trick without hurting or harming your body. They won’t introduce toxins into your blood stream. They won’t make your acne worse. In fact, they’ll help fade and heal blemishes and improve circulation so that you look your best whether they’re on or off. These concealers will make you look fresh, clean, and put together, and you’ll never need to regret it down the road.